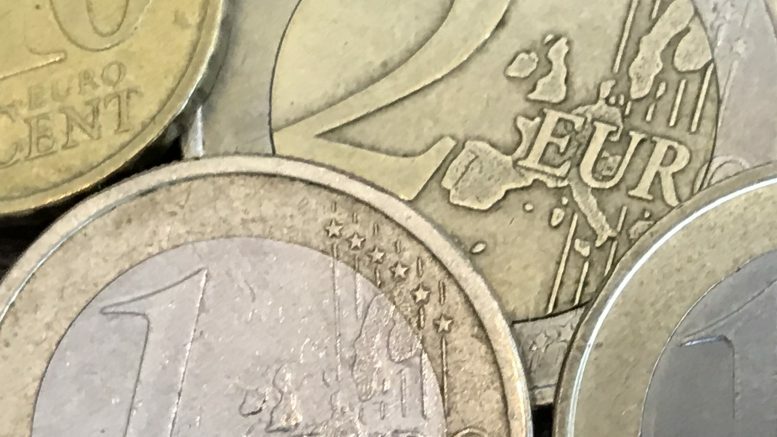 Brexit bickering continued in the U.K., but sterling rallied on Thursday, while the euro recovered early losses after the European Central Bank kept policy unchanged, as expected. “The surge in the pound was driven by beliefs that a no-deal Brexit will eventually be avoided and the chances of extending Article 50 look more likely. Although extending Article 50 doesn’t mean a final solution to Brexit has been found, any news delaying the process and supporting avoiding a hard Brexit will be supportive,” Hussein Sayed, chief market strategist at FXTM, said in a note on Thursday. “If no negative surprises materialize, the currency may find further support on technical buying after GBP/USD broke above the 200-day moving average,” he added. Meanwhile, ECB chief Mario Draghi said on Thursday that Brexit was a major reason for the central bank’s decision to downgrade its economic view, but Reuters reported his statements weren’t viewed as overly dovish, helping the euro recover earlier declines. The ECB left its policy unchanged at its policy meeting on Thursday. The U.S. dollar index was at 96.57 at 7:05 A.M. SGT after spiking as high as 96.66 from as low as 96.10 on Thursday, according to ICE data. The 10-year U.S. Treasury note yield was at 2.722 percent at 8:26 A.M. SGT after dropping from as high as 2.748 percent to as low as 2.701 percent on Thursday, according to Tullett Prebon data. The euro/dollar was at 1.1312 at 8:28 A.M. SGT after trading in a 1.1288 to 1.1391 range on Thursday, according to DZHI data. The British pound/dollar was at 1.3112 at 8:29 A.M. SGT after trading in a 1.3010 to 1.3094 range on Thursday, according to DZHI data. The dollar/yen was at 109.64 at 8:29 A.M. SGT after trading in a 109.39 to 109.801 range on Thursday, according to DZHI data. The dollar/yuan was at 6.7867 at Thursday’s close after trading in a 6.7742 to 6.7962 range on during the session, according to DZHI data. The dollar/Singapore dollar was at 1.3602 at 8:30 A.M. SGT after trading in a 1.3563 to 1.3616 range on Thursday, according to DZHI data. The dollar/Malaysian ringgit was at 4.1430 at 8:05 A.M. SGT after trading in a 4.1300 to 4.1435 range on Thursday, according to DZHI data. The dollar/Indonesian rupiah was at 14,210 at Thursday’s close after trading in a 14,115 to 14,210 range during the session, according to DZHI data.